"We're not just some tavern, you know. 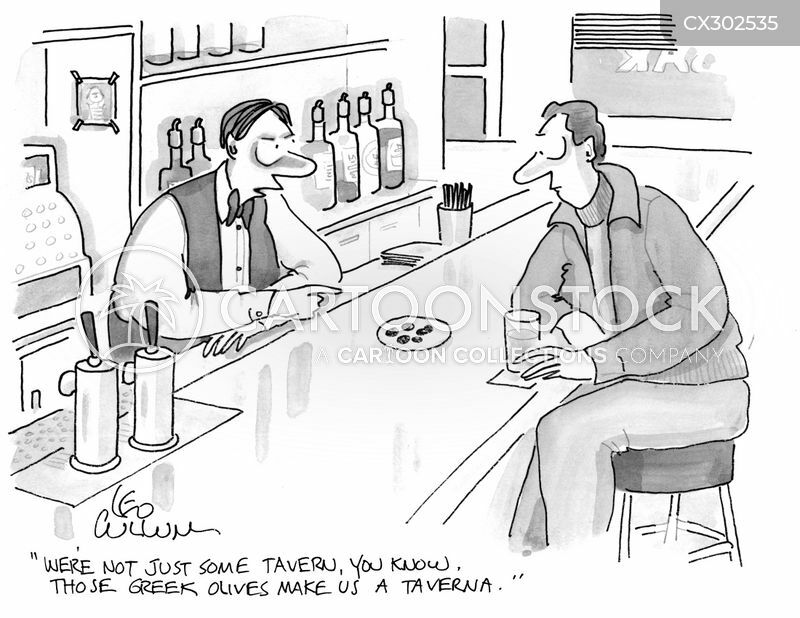 Those Greek olives make us a Taverna." 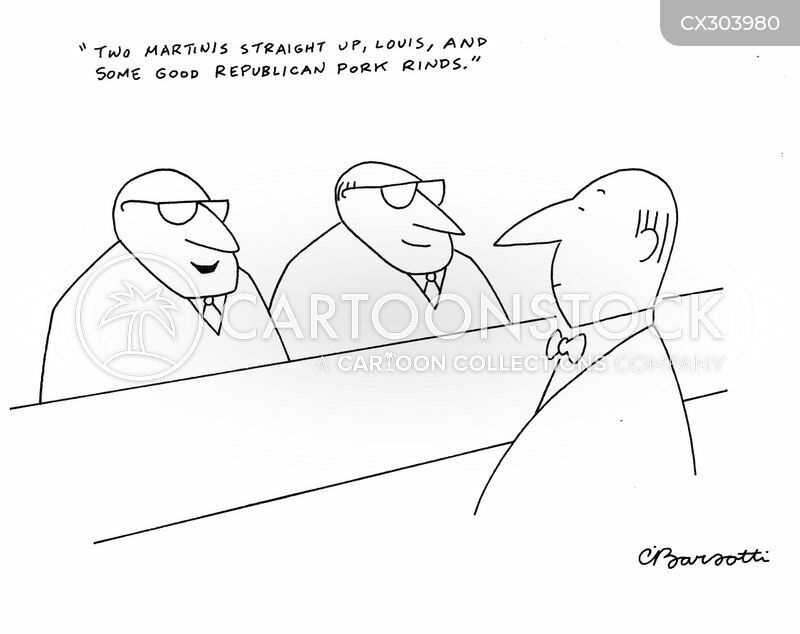 "Two martinis straight up, Louis, and some good republican pork rinds." "Gin before peanuts is an aperitif. 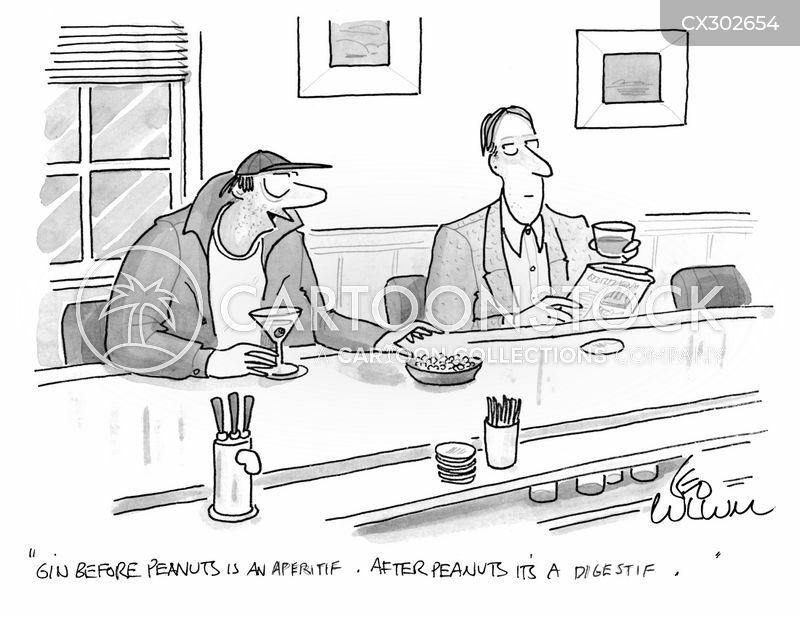 After peanuts it's a digestif."